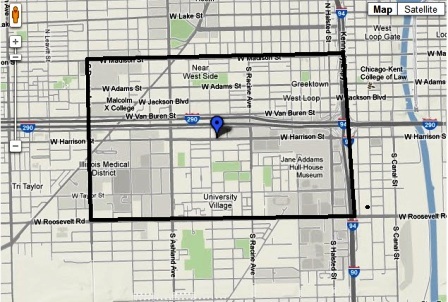 The Jackson A Language Academy is situated directly in between University Village and Chicago West Loop. Both the West Loop and University Village neighborhoods have seen tremendous development in the last decade, so real estate for sale near the Jackson A Language Academy continues to become more and more sought-after. Although the Jackson A Language Academy has no set boundaries for attendance, there are some outstanding housing options within the immediate vicinity of the school, so check out what’s available today! If you’d like more information on real estate for sale near the Jackson A Elementary school in Chicago’s University Village, contact Ted Guarnero at (312) 810-6693. Attendance for grades K-8. Please Note: Jackson A Language Academy Chicago has no set boundaries, but the following real estate listings are located within the designated polygon map below.